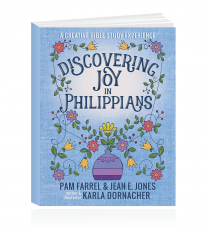 Online Facebook Live study with Pam Farrel. 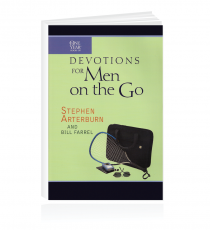 (Live online – you can ask questions live) or playback will be available at any time. 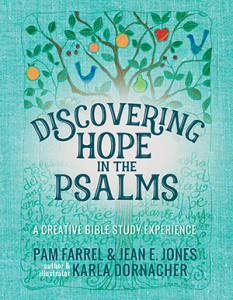 You will need a copy of Discovering Hope in the Psalms, A Creative Bible Study Experience to participate. 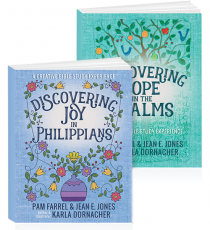 Join Pam for an online bible study using Facebook Live. 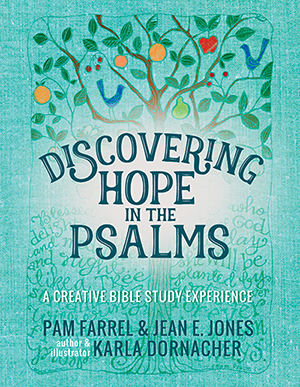 Discovering Hope in the Psalms is an 8 week journey and Pam will bring a teaching each week and using a private Facebook group participants can interact and share.